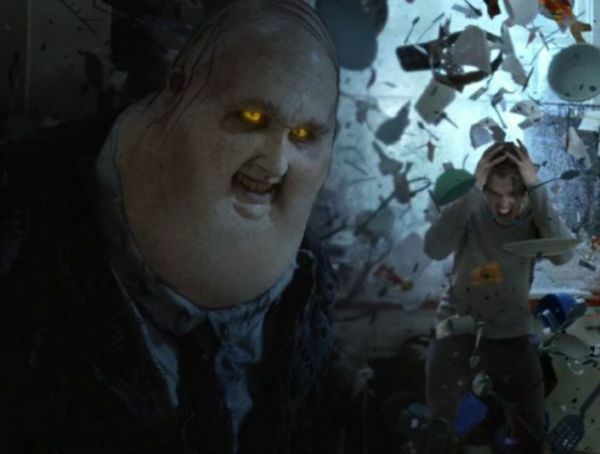 FX’s adaptation of Marvel’s Legion has already proven to be another boon for the network, and a foray into the darker side of the X-Men universe. Legion follows the story of David Haller, a man who has believed his whole life he suffered from mental illness, only to discover he might be one of the most powerful, and possibly dangerous, mutants the world has known. 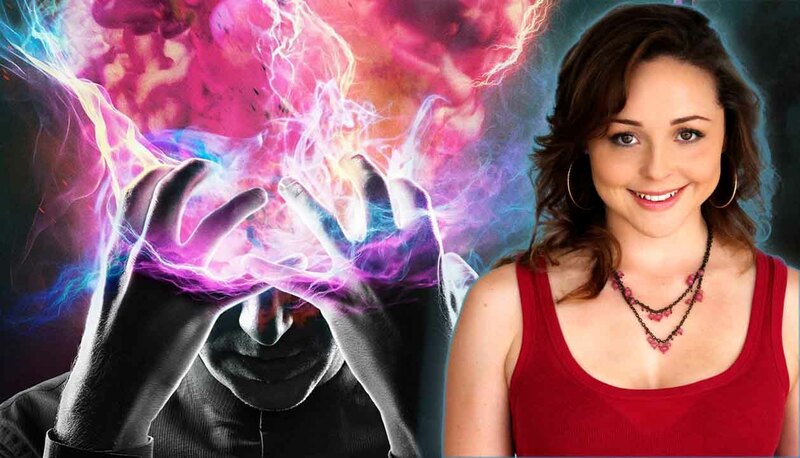 Recently, we had a chance to speak with Ellie Araiza, an accomplished actress, singer and songwriter who plays the role of Philly, Haller’s ex-girlfriend and someone deeply connected with his more recent painful memories of his past. Ellie shares her thoughts on the show, her personal connection to Philly, and what it was like working with Dan Stevens and the rest of the cast. She also explains more about her personal history and how the art of music and acting connects her to her own past, and ultimately reveals a common humanity amongst us all. Legion has garnered a phenomenal viewership on FX from the very beginning. Over all three airings on the night of the premier, it was watched by a total of 4.37 million viewers, not including VOD or streaming services. Why do you think the show has drawn such a large audience? Yes! It’s so exciting. For one, I think because the show is based on a Marvel comic book it automatically attracts the very large graphic novel fan base that are so loyal and devoted to the Marvel universe. These fans always bring a great deal of curiosity and open-mindedness toward new interpretations of these stories and characters. I also think FX, as a network, has really been pushing the boundaries and defying expectations which leaves audiences at the edge of their seat and hungry to experience more of what the network has to offer. I would also imagine that a large part of the following is due to Noah Hawley being the show’s creator. I think anyone who’s seen what he did with the Fargo TV show on FX, knows the quality of his work. I have to say, even if I wasn’t in the show, I would be watching it just because of him. His writing is so human and intricate and so well thought out that for me, both as an actor and an audience member, I feel like I can completely trust him and that anything he does is going to be worth watching. Lastly, we cannot deny the likelihood of Downton Abbey fans wanting to see what Dan Stevens is doing next! And who can blame them? What drew you to the show personally, and to the character of Philly in particular? What drew me to the show personally were all of the questions that it arose in me. You know, David, the lead character, is a very complicated person who doesn’t really understand himself yet and believes himself to be mentally ill. And the show really uses this confusion that he is experiencing to unfold the story in a way that we very deeply relate to him. I think as human beings, we often struggle to be in touch with our own power and strength, and to me, that’s what’s so compelling about David; made me want to move through his self-discovery with him. My character, Philly, is someone who ended up in a relationship with David in a time of his life when he was particularly haunted and lost. She falls for him and kind of gets caught up in the web of madness as he continually unravels. But, she really cares about him and I think she really tries to make the best of it. I was drawn to her because I could easily relate to her. I think many of us have ended up in a relationship where over time we learn things about that other person that we didn’t see in the beginning, and we find ourselves trying to reconcile these things and make it work. I think for Philly, who has a bit of a savior complex, her struggle is to really see David for who he is, a very real struggle when David doesn’t know who he is or even have control over himself. So far, the only direct interaction Philly has had with Haller that we have seen is in Haller’s memories. What can we expect to see from your character over the course of the season? Can we anticipate any big surprises from her? Um, no comment? Ha ha. I can’t say too much about this. What I can say is that David is piecing together his life through his memories and she is a part of his past. I think she is a mystery because she is meant to be a mystery in some ways. Right now in the show, Haller and Philly’s last interaction was a rough one. She leaves after an argument that resulted in Haller’s powers going out of control. We get to see a little more of that scene as the show progresses. While we wait to see how this plays out over the season, tell us what it was like working with Dan Stevens and the rest of the cast. It was awesome. What can I say? Dan Stevens is very easy to work with, on point and professional and always ready to go. It was very easy and comfortable to jump into a scene with him. Aubrey Plaza is just as funny in person as she is on screen, if not funnier. Jean Smart is the definition of loveliness and warmth, and Rachel Keller is crazy wise beyond her years and a total natural on camera. I really enjoyed working with and getting to know everyone in the cast. I feel very fortunate to have worked with them! In both the show and the comics, Haller’s powers are intimately connected to his personality. In his case, they are ultimately connected to a very difficult part of his character. If you had powers connected to some aspect of your personality in real life, what would that power be and how would it associate with you? Wow. That’s a great question. I think for me, I would want that power connected with the part of my personality that is humorous and goofy. Because I think that when I’m really being myself and when I’m not letting my fears overcome me, I tend to be a jokester and I like to see the silliness and absurdity of life. My favorite movie when I was like 11, was The Mask, and I think it’s because I so loved how wearing the mask connected Jim Carrey to that uninhibited crazy fun mad person inside of him. I think it would be awesome to in a sense enhance that part of me, and share that with the world. Legion touts a unique visual style from the camera angles, to the editing, to special effects, and even the set pieces and clothing, which appear heavily influenced by the 60s. What do you think about the show’s distinctive presentation? I love it. At first, I didn’t know what to think, I was surprised by the look, particularly the 60s influence. Reading the script I didn’t immediately picture it that way. But as I worked on set and saw it play out, I found the look really suits the feeling of the show. I like that it has a kind of timeless feel, you don’t know exactly when it’s taking place. The camera movement and cuts are very purposeful and I think meant to complement and communicate David’s state of mind. You’ve mentioned in one of your bios that people are sometimes surprised when you tell them you are Mexican-American because, as you say, “I don’t fit their idea of what a Mexican should look like.” But, you argue this is a positive thing because it forces people to see past the superficial and think about you, and others consequently, as an individual. You say this is important for storytelling in particular. Can you tell us more about that, and why this message is so important to you as a person and an actress? I moved to the U.S. when I was 16 and because my mom is American and I speak perfect English and I look white, a lot of assumptions were made about me. When I didn’t understand some things about the American culture, whether it was pop culture references or I didn’t know what a smore was, I got laughed at and people treated me like these were things I should know. And even when I explained that I grew up in Mexico it was like, the fact that I look and sound American, just didn’t compute for them to understand that the American culture was foreign and unfamiliar to me. This definitely gave me a sense of being an outsider, which I don’t think is necessarily a bad thing, because you learn that it’s ok to be different. And you find yourself relating and connecting with other people who maybe don’t feel like they fit in a hundred percent. And when I look at stories, and human beings in general, I feel like this is such a strong recurring theme, that many of us feel like we don’t fit in or feel like outsiders at some point in our lives. And those are the moments when we often go through the greatest arcs in our own personal story. So I love that we can all be surprised by each other, and that every single human being has a story to tell that you never would have imagined when you met them. I think stories constantly remind us of this and continually remind us that deep inside we are all the same. In my case it just so happens to go together with my Mexican American heritage and the conflict with our cliché and stereotypical ideas of Mexican vs American. But, I really think it’s something everybody experiences on some level and that’s what makes it universal. Along with your acting career, you are also the lead singer and lyricist for the band Pie. What draws you to writing and performing music? Does it offer you something acting does not, and if so, explain how it contrasts for you? What initially drew me to music, I think, was the fact that I could pick it up anytime I wanted. With acting, you are often waiting for an audition, or waiting to be in class, or waiting to be cast before you can actually do it. Whereas with music you can just, any time of day, start humming to yourself or exploring a feeling that you are having and seeing what comes to you. For me, it became a way to empower myself creatively. It was also very much a form of therapy for me, a way for me to deal with difficult emotions. There was such a sense of satisfaction in turning those emotions into words and sound, and then having this overwhelming desire to share that with people and knowing on some level that we all feel that way. There’s a degree of shame behind art that I think goes back to the feeling of abnormality and inadequacy, that sort of propels us to be creative, and then within the creative process we discover connection and that we are not alone. I think that’s what’s so wonderful about music and feeling like someone is speaking for you. Music to me is just such a direct way to connect. You’ve already proven yourself as an accomplished singer and songwriter, and have an ever-growing career in entertainment. As you continue to build your career, what sorts of roles are you hoping to play, and what would you like to see happen with your music career? Where do you anticipate yourself going? I have a lot of love and respect for comedy and drama mixed together. So for me, the kinds of roles that I find extremely satisfying are the kinds of roles that have heartbreak and humor, and I think that’s something I bring to my songs as well. Even my saddest songs will have some puns, or some humor, or some hope in them, and I think that’s my strength. I’ve always felt like I fit in outside the box, on the quirky and offbeat end of things. I love independent film, I love awkward and improvised comedy shows. So, I definitely see myself doing more of these. In terms of my musical career, I’m very open to where it goes. To me, it’s very satisfying on a personal level. I would love for it to intersect with my acting. Perhaps play a singer-songwriter, or even be in a modern film musical and use some of my songs. That is a dream for sure! Meanwhile, I’m open to finding new people to collaborate with and seeing where it goes organically. Only four episodes in, the world of Legion has become ever more intriguing as we dig further into David Haller’s memories, revealing terrifying visions, terrible mistakes, and more about his most recent lost love, Philly. We have high expectations that Legion will continue to surprise us and, as Ellie eloquently iterated, cause us to consider our own hardships throughout our lives and the common humanity shared by everyone in that way (whether you’re a misunderstood mutant or one of us average, everyday humans). Staff writer, life-time gamer, professional nerd and amateur cosplayer. Owns a working copy of Duck Hunt (with the light gun). Has never hunted real ducks. Writer and marketer by trade.